Remove up to 85% of fluid from swarf and filter cake. 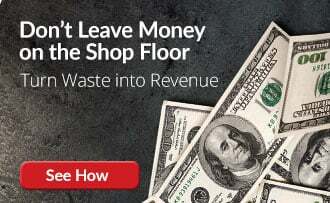 Separate liquid from filter cake and swarf for optimal coolant recovery and savings on material disposal costs. The horizontal screw press removes up to 85% of fluid from swarf and filter cake, mitigating risk with EPA nonhazardous waste. The screw press improves housekeeping by keeping fluid from swarf and filter cake localized for recycle or reuse, keeping floors clean. 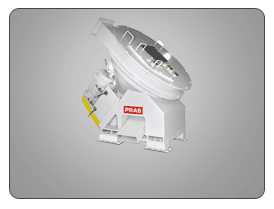 The PRAB screw press separates liquid from filter cake and swarf for optimal coolant recovery and savings on material disposal costs. 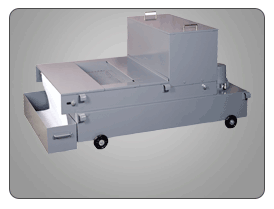 Disposing hazardous grinding swarf or filter cake can be difficult and expensive. PRAB’s horizontal screw press processes material that is 40 to 50% wet with coolant or cutting oils to remove up to 85% of fluid. Can be used as a stand-alone unit or in combination with the Dualpak™ Briquetter for coolant recovery and retainment of up to 95% of fluids. The PRAB horizontal screw press can be used as a stand-alone unit or in combination with Dualpak™ Briquetter coolant recycling systems for coolant recovery and retainment of up to 95% of fluids. 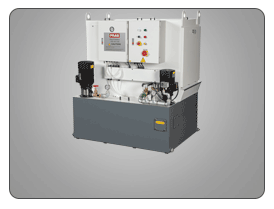 Recycle fluids with one of PRAB’s fluid filtration and recycling units for even greater savings. PRAB’s horizontal screw press processes material that is 40 to 50% wet with coolant or cutting oils to remove up to 85% of fluid. Material is fed into an opening on top of the press, passing through a variable pitched auger screw and then compressed against the end plate (held in position by an air cylinder). As the material is squeezed, the extracted fluid passes through a perforated screen where it is collected for safe disposal and coolant recovery. 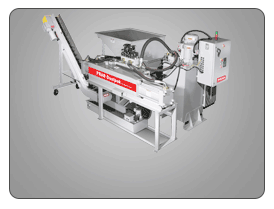 Material then presses against the endplate, forcing the endplate to open and allow the dewatered-material to discharge. The resistance of the endplate can be adjusted as required to enhance your fluid filtration needs.